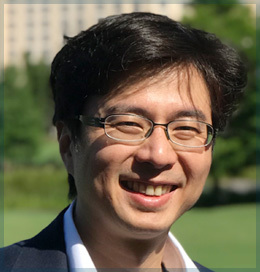 Chao-Kai Hsu is the Associate Professor of Department of Dermatology in National Cheng Kung University (NCKU) in Taiwan. He has served as a certificated Dermatologist in NCKU Hospital for more than 10 years. He studied medicine in NCKU, and got his Ph.D. degree from the Institute of Clinical Medicine in NCKU under the supervision of Prof. Ming-Jer Tang and Prof. Julia Yu-Yun Lee. In 2008, he studied filaggrin mutation in Department of Dermatology Hokkaido University Graduate School of Medicine (Prof. Masashi Akiyama and Prof. Hiroshi Shimizu) in Sapporo. From Dec 2014 to Dec 2016, he was a research fellow in St John’s Institute of Dermatology (Dr. Eduardo Calonje & Prof. John McGrath) in London and studied dermatopathology and genodermatosis. He has published more than 80 papers, 65 on Pubmed, including JAMA, American Journal of Human Genetics, Journal of American Academy of Dermatology, JAMA Dermatology, Journal of Investigative in Dermatology, and some others. He led NCKU team to win Community leadership Skinpact Galderma Award in 2015 World Congress of Dermatology. His research focuses on the mechanobiology and genetics of keloid and other skin disorders.